The premise should be familiar to anyone who has followed augmented reality over the past year, and likely old hat to those who take their cosmetics shopping seriously. 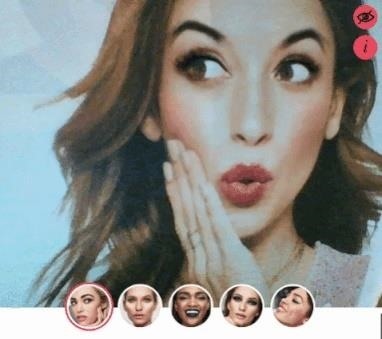 When visiting the Cover Girl Try It page via a desktop or mobile browser, shoppers can preview five looks on their faces via their front-facing camera. The looks can then be purchased via Walmart.com. (1) Desktop browser with static image, (2) desktop browser with a real face. In our limited hands-on with the tool, the results weren't always pretty. At times, the AR effects had the sloppiness of someone applying makeup at night in the passenger seat of a moving car on a bumpy road after several glasses of wine. The tool performed better with a static image, such as a picture of a model from the cosmetics section of a Walmart circular (see image above). If this is the experience, then why go with a browser tool? The answer lies in a modern twist on the old adage, "fast, cheap, good—pick two," with "easy" serving as the fourth variable gumming up the works. 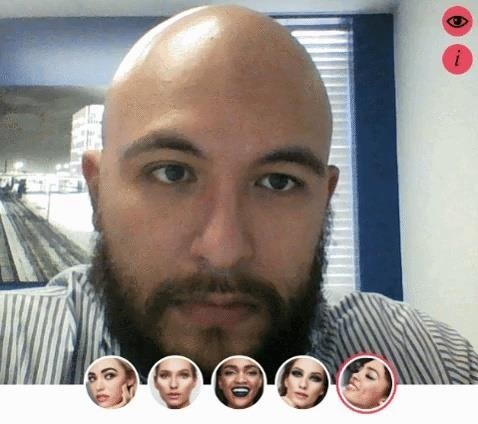 Cosmetics brands jumping on the AR bandwagon in recent months are faced with selecting the experience that matches their business strategy. 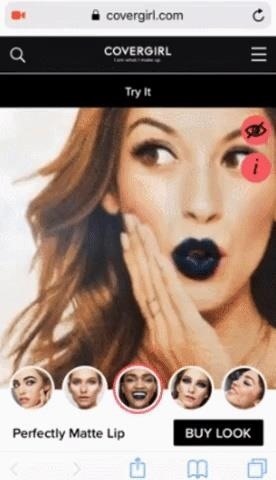 A native app, like Sephora's Modiface-powered app, may provide a better AR experience, but retailers must first convince customers to download and install the app, not to mention the cost involved in keeping an app up-to-date and, in the case of Android, ensuring compatibility across a variety of devices. Alternately, brands may choose to align with apps from Meitu and Perfect Corp., which showcase a number of other brands vying for the user's attention. "As a challenger in beauty, our goal is finding better ways to meet unmet shopper needs," said Jason Forbes, chief digital and media officer at Coty, Cover Girl's parent company, in a statement. "Virtually trying on complete trending looks, without having to download an app or go to a store, are great examples of this." In theory, the decision follows a sound path of logic. But in practice, brands that opt for convenience in the AR space risk sacrificing quality when it comes to the user's experience. If the AR experience is poor enough, it may negate any promotional gains the technology may have afforded in the first place. 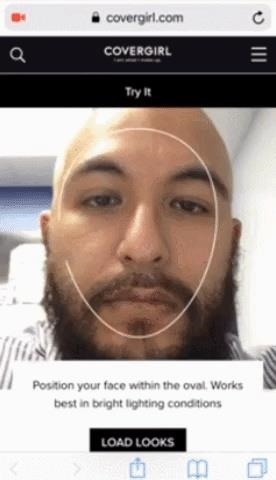 In this case, the accuracy of the effects are compromised, and the experience doesn't include social sharing features that are commonplace in mobile AR apps. But just as mobile web apps have become more reliable and robust over time, and hardware and wireless speeds have advanced to accommodate them, AR web experiences are bound to improve as well. However, if the Cover Girl Try It tool is any indication, other brands should lean toward mobile over web-based AR apps until that time comes.